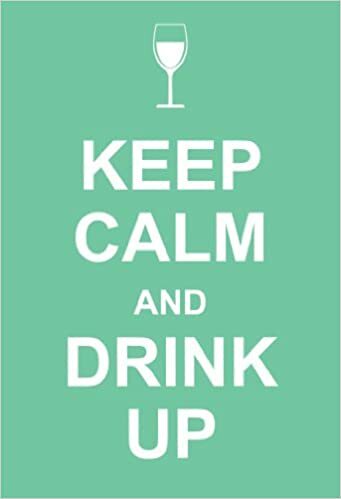 Keep Calm and Drink Up humorously reminds you to keep a stiff upper lip and calm demeanorâ€¦as well as a bottle of your favorite drink handy. This uplifting and humorous gift book is just the right mix of one part drinking axiom and one part sage adviceâ€”stirred until well blended. "In victory, you deserve champagne; in defeat, you need it," stated Napoleon Bonaparte. Inspired by the iconic World War II poster "Keep Calm and Carry On," Keep Calm and Drink Up is a gentle riff on the classic British war campaign.